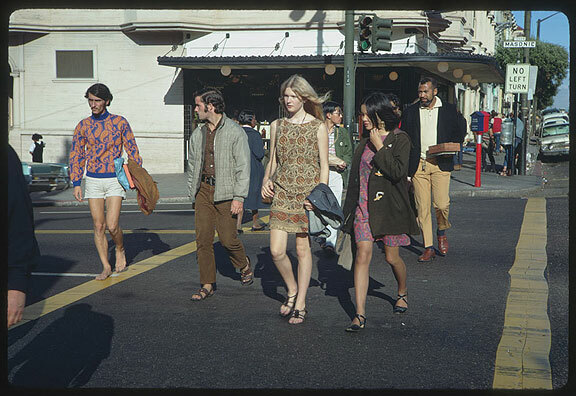 The first time people started walking down the street with flowers in their hair, in altered states, in large numbers, happened to be on Haight Street (this was because many San Francisco State College students lived in the Haight-Ashbury at the time). 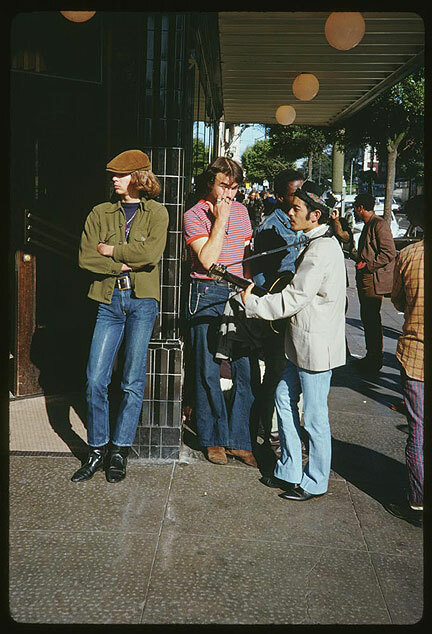 The cultural revolution of 1967 in large measure was a media event and it totally transformed the residential Haight Ashbury. It overwhelmed the neighborhood. During the Summer of Love, 1967, there was a large demonstration in the Haight-Ashbury in which an urn was carried to the Panhandle and ceremonially buried there, symbolizing the Death of the Hippie---who was dead by 1967 as far as the folks who lived in the Haight were concerned. For most people, however, and for most authors of the books written on the Haight, history didn't start before 1968. For those who lived there, it was over the summer it began. 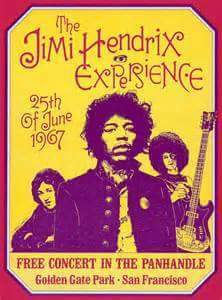 Imagine if you will a rumor that Big Brother and the Holding Company, Jimi Hendrix, Cream, (or the musicians that later became Cream), were going to jam in the Panhandle at about 2 p.m., and 20,000 people showed up. The amplifier is powered by an extension cord across Fell Street. There was an unease on the part of "high hippie culture," living in the urban environment. The vast majority of what we later called the International Youth Migratory Culture that ended up literally on our doorstep, was overwhelmingly suburban (mimicking themselves 20 years later when the gentry came back into the Haight-Ashbury, in the mid-80s with the same basic suburban mentality). We were dealing in the Haight-Ashbury with a central city, with police problems, transit problems, public school problems, housing problems, and increasing animosity between black landlords. There were working class black people trying to raise a family and pay their bills, with dead-beat hippie tenants. Rent to two hippies and find out that 45 of them are living in the flat! And they're eating the wallpaper. And building fires in the bathtub. It was scandalizing. For many of the black landlords on Haight Street, this was carrying democracy far too far. There was a very real cultural struggle going on, and in very quick succession it became apparent that the city was not very happy with the situation, and was unwilling to support in any way, shape or form the thousands of (what we would now call) homeless youth, wandering the streets in a dazed state, chemically or organically induced, for weeks at a time! The police in 1967 appeared to be 55-year-old Irish Catholic guys, who wore those long coats like keystone cops. It was the war with the hippies in 1968 and 1969 that produced the TAC Squad, that produced the paramilitary SFPD... But in 1967/68 San Francisco cops out of Park Station at Stanyan and Waller had NO IDEA what to make of these kids. They knew something was going on, but they didn't know what it was. -- From a lecture at New College in Fall, 1994.